Nova | Change a Perspective, Change a Life. Nova is a New York City-based 501(c)(3) social development organization that supports women and girls with creative workshops, experiential experiences and community based activations. You Ready For An Amazing Experience, Unparalleled Support and a New Outlook? The BEST part of what we do is connecting our GIRLS with the likes of you! If you share our passion and need for change, please contact us for more information on how to become a virtual mentor with a girl in your city. 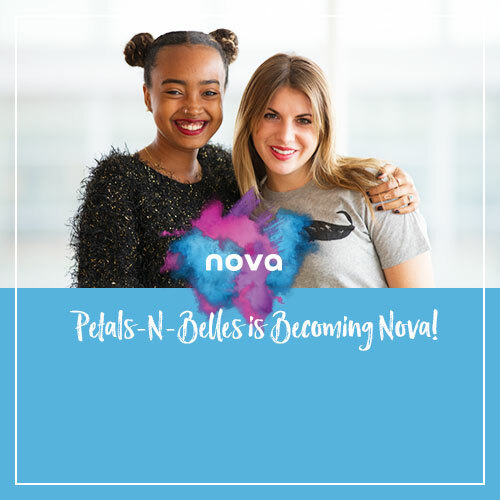 Nova is an exciting platform for your female students to discover their passion, set goals and apply what they’re learning in school to their daily lives! We inspire our members to achieve academically and we hold each and every girl accountable to meet her goals. WHY? We hoped you’d ask. The average student is lacking cultural and social experiences that relate academic success to “real world” success. The combination of the innovative Nova curriculum, exciting excursions, creative mentoring opportunities, and awe-inspiring social experiences is life changing. Partnering with a school multiplies our impact. When we change the attitude and perspective of a group of girls within a school it has a ripple effect on all the students, male and female. Our workshops and focus points become a trending topic. New friendships begin blossoming and the impact spreads. The Nova experience ignites positive changes in the lives of our members and their schools. Contact us to learn about how we can empower YOUR students to excel! Copyright Petals-N-Belles 2016. All Rights Reserved. for Women & Girls. Learn more.